Three faceless bureaucrats intent on demolishing private enterprise as we know it in Alice Springs were facing off with the town’s entrepreneurial elite fighting a gallant last ditch battle – in the Town Council’s Andy Mc Neill meeting room last night – for their very livelihoods and all that’s good in The Centre. One hour and 48 minutes later the bureaucrats not only had faces, but turned out to have fairly solid backgrounds in private enterprise as well. And the movers and shakers had agreed with them not only to meet formally twice a year, but to part, for the time being, on a “talk soon” basis. Amazing. As Rob Steer, Executive Director Commercial Operations in Correctional Services put it: To have public servants getting together with local business people in a frank and informal manner over a very sensitive topic would have been inconceivable 15 years ago. The questions that had started this turn-around a few days ago were promptly resolved: Yes, the prison is setting up a bakery. Yes, it’s mostly to feed the 600-plus inmates. No, it won’t compete with private enterprise. Yes, it may sell to local businesses products they cannot obtain locally from other suppliers. Yes, the prison will be obliged to engage advice on how to set up and run the bakery, through the normal government tender process. Yes, Correctional Services will be involved with a private company, Wicked Kneads, in establishing bakeries on remote communities. The first one has already opened at Hermannsburg and there will be several more – details yet to be announced. While a consensus on the issues involved is yet to be found, the meeting was clearly a good start. • The government men took the blame for not being sufficiently transparent in the past about the training, employment and commercial initiatives at the jail. That’s why they called the meeting, they said. ‘That’s our phone number, that’s our email, get in touch’, was the message. This apology was clearly accepted. • Buying from the prison enterprises is better than buying from Adelaide – or from China: For example, Correctional Services clinched a deal with the builders of the new Darwin abattoir for the construction of stock yards that was about to be awarded overseas. • Conundrum # 1: What’s easier – starting a new business, employing a bunch of people, wrestling with all the red tape – or picking up the phone to the prison and placing an order? • Conundrum # 2: When does the prison present a threat to private enterprise? Would it be by offering an easy supply solution that militates against starting a new business? • Conundrum # 3: Correctional Services are saying they won’t compete with local businesses. Of course they can’t compete with a business that doesn’t exist. What if the business doesn’t exist because the jail offers a simple solution (see Conundrum # 1). • We don’t want to damage prospective employers of the prisoners we are releasing. 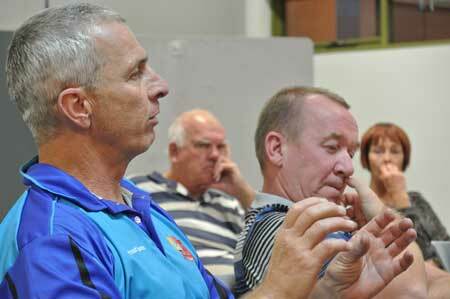 We don’t want to upset the applecart, say Correctional Services. • Steve Brouwer (airline catering, commercial property investment) posed this question: Has the Town Council, which engages prison work parties in a variety of ways, ever offered an ex-prisoner a permanent job? • Correctional Services has a community works budget of $1.5m – that’s for jobs such as cleaning up public places after functions. • The business community at the meeting was mostly concerned with the impact that any new and emerging government policies may have on their commercial interests. Other than giving “Sentenced to a Job” the thumbs-up, they expressed scant concern for a big section of the population living in conditions unimaginable in other developed countries. • Surprisingly, there was no discussion about including, as a major asset of the town’s commercial capabilities, a potential workforce of 600 people who don’t drink, don’t do drugs, don’t even smoke, are well rested, well fed, clean, and always on time. Then there is an increasingly well equipped industrial complex, shown to local media yesterday. It’s a bit like Elder Street in miniature, except that none of the businesses are threatening to go bust: a brand new 600 square metre metal fabrication workshop; a number plate factory; a mechanical workshop; the town’s second biggest laundry (the hospital has the biggest); a sewing workshop; and nearby a brand new woodwork shop. Mr Steer didn’t hold back in his introductory remarks about the mammoth tasks faced by his staff. In past 10 years the NT had a 20% population growth. At the same time the imprisonment rate “skyrocketed” by 123%. In the Territory 850 people out of 100,000 are in jail. The national average is 149. Here 55% go back to jail within two years, compared to 30% to 40% around Australia. $289m a year are paid in unemployment benefits in the NT, said Mr Steer. Indigenous people make up 85% of the NT’s prison population. Their education levels are on average lower than Grade One. They have hearing loss. They have no expectation of ever having a job. They have substance abuse issues. English is their second, third or fourth language. They are good with their hands but don’t necessarily learn the way we do. Says Mr Steer: “They can’t read. They can’t write. They can’t run tape measures. He says Quick Smart, an accelerated literacy and numeracy program, is offered in three half hour sessions a week. This isn’t to guide inmates to be able to read a newspaper, say. It’s to teach them to write their names. At the same time the whole top third of Australia is looking for 70,000 trades people over five years. We’re in year two. The demand is met by FIFO workers. “That money exits” the region, says Mr Steer. Others prominently taking part in the discussions were Neil Ross (Ross Engineering), Jamie De Brenni (builder), Lester Hamilton (Brumby’s), Kaye Eade (Chamber of Commerce), Councillor Chansey Paech (also local ALP branch president), Dave Koch (scrap metal, CLP luminary). PHOTOS (from top): Lester Hamilton, Neil Ross, Steve Brouwer and Kaye Eade at last night’s meeting • New 600 square metre metalwork shop • Women’s sewing room • Laundry • Number plate factory. How about considering the real issue here – industry in Alice is declining. The prison competing for contracts with cheap labour is helping that process along. Yes, it’s great the prisoners are being trained, but what will be the point when the only jobs (as bakers for example) will be at the prison (bakery)? What about the 10 soon to be retrenched bakers – do they need to now break the law to get access to a job as a baker? Maybe they’ll just leave town instead and take their families with them. Have any of the trained prisoners been employed in the real world on release in the field in which they were trained? Or are there no jobs left in the real world in those areas because of cheap competition from the prison? Bob, I heard a prison manager say that more than 60% of inmates are engaged in training / work programs and it sounds like the new direction will accommodate most prisoners before too long. You say that prisoners who don’t fit the template for available work skills training could be just sitting perpetually in their cells getting more and more angry or depressed. But is that right? I would have thought that there are many low level jobs that anyone could do. 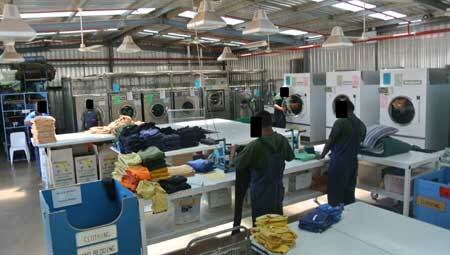 Presumably, prisoners maintain the prison grounds, perform cleaning tasks and work in the laundry. I would be very surprised if any prisoners at all need to be sitting perpetually in their cells becoming angry and depressed. You suggest that art and music are the only reprieve for many prisoners but don’t they have sport in prison? I’d be amazed if they didn’t. What about the work gangs I see around town? Prisoners are picking up rubbish etc. What literacy skills are needed to join the work gangs? I’d also be concerned that prisoners who cop out of training and work could get access to the recreational activities of art and music. They shouldn’t get any privileges at all, while being encouraged and supported to get some skills, laziness shouldn’t be supported by the tax payer. An important role of prison programs should be to break the welfare system of entitlement without effort, not entrench it. There must not be a resort to recreational programs like art and music as a soft option for those who don’t want to try to change their lives. And again, it’s a question of cost / benefit. Art and music programs represent a cost to tax payers that must be justified. I for one do not see a clear justification but I can see a justification for re directing the funding to create real change in prisoners’ lives. Peters, (Posted October 19, 2014 at 4:16 pm), the prisoners you see on the TV news are some of the lucky few who already have sufficient literacy, numeracy, health, and ability to focus and concentrate, for them to begin undergoing the training and performing the work tasks reasonably safely and effectively. The prison managers, staff, instructors and prisoners concerned should all be congratulated heartily for what they are achieving. The politicians too should be acknowledged for their vision and sense, and encouraged to extend this skilling / work readiness program as far as it can usefully go. Many other prisoners, however, do not have all these prerequisite attributes. Some may not be physically or mentally well enough to undergo training in the particular work skills. Others will not have the basic literacy and numeracy or mental attributes needed to perform simple tasks involved in learning these skills, or to guarantee the safety of other trainees or teachers. Horses for courses. There is, and will long remain, an important place for “literacy / numeracy classes and Art and Music classes” and various life skills in the prisons. These needs will remain, at least for many years, for certain inmates, no matter what success is had in providing training that provides some other prisoners with work skills and work-readiness. The ideal situation would provide plenty of options in all these approaches – skills and work-readiness training, as well as educational, therapeutic and recreational activities, allocated as needed to get the best results for the prisoners, society and the prison management. There is no simple “one size fits all” formula for activities best calibrated for improving the life chances and non-recidivism of all the varieties of prisoners. We will have to learn to cope with the necessity for a complex set of solutions for these complicated problems. The system cannot, and should not, leave prisoners who don’t fit the template for available work skills training just sitting perpetually in their cells getting more and more angry or depressed. If we do allow that to happen, then running the prison will be more difficult and expensive; and society will inevitably pay a price when some of these angry and alienated individuals eventually do get released. Having prisoners working is a good thing. With these new facilities, this will give them self respect and esteem. Why not look at them growing vegetables for the hospital or doing the hospital laundry? This could be one way of the prisoners giving back to the tax payers. Remember, they do have a debt to society. Prison should not be treated as a holiday Camp! If they can learn something while in there, it will be a step in the right direction. The prisoners will be no threat to the businesses. Bob Durnan. I agree that art and music may be beneficial to institutional management because “prisoners are easier to manage if engaged” but are these recreational activities the best way to keep prisoners engaged? At a time when overcrowded prisons are bleeding taxpayers dry the money spent on art and music can be much better spent on training and work programs. The prisoners I see on TV news engaged in welding or constructing look happy enough, they are occupied, challenged, learning valuable skills and looking forward to having real jobs. Can the same be said of art and music students? There is no hard evidence that art and music lead to jobs on any scale and I doubt that participants even think of art and music in terms of getting a job. They are probably just having fun and that is an unaffordable luxury that tax payers should not be funding. Art and music are just recreational activities that have simply become outdated when there are training and work alternatives. Our prison system at last has a strong focus and it must be given every chance to succeed. That means that programs that don’t fit the training and work focus no longer have a place. I am happy to help you develop a better understanding of this, Peters (Posted October 19, 2014 at 10:16 am): A good starting point for you would be Alexandra Djurichkovic’s “ART IN PRISONS: A literature review of the philosophies and impacts of visual arts programs for correctional populations” (published by University of Technology Sydney, 2011). Apart from detailing the benefits to the individual prisoners, and eventually to society, Djurichkovic also provides evidence to support the contention that “Art is beneficial to institutional management”. Djurichkovic explains: “The literature articulates a number of benefits that ‘serve a managerial function by improving the quality of life for both prisoners and staff’ (Johnson 2008, 108). Firstly, the need for disciplinary control can be reduced when artistic activities are available as an outlet for emotional ventilation (Benton and Barclay 2008, 27; Day and Onorato in Johnson 2008, 106). In the words of a prison officer working in an Australian prison with a comprehensive art program, ‘prisoners are easier to manage if engaged’ (Benton and Barclay 2008, 27). “In addition, the cost benefits of prison art programs includes money saved on resourcing responses to self-harm, drug and alcohol use, suicide, and psychotropic medication to alleviate mental illnesses and inmate distress (Gussak 2006, 189). An important, early study from the California Department of Corrections in the 1980s found that institutions with prison art programs produced a saving of around $100,000 per annum (quoted in Brune 2007). Ironically the best job prospects back on community are in arts and music. Working on the “chain gang” is nothing but slave labour and I suspect the human rights commission will be keeping a close eye on NT prisons. Bob Durnan. Therapeutic benefits of Art and Music in prison that are cost beneficial? You can’t be serious! The days when our NT prisons were holiday camps should be long gone, and it’s good to see that they are on the way out the door. Training for work and employment are the therapies, not idling around strumming a guitar or dot painting. The recent story about prisoners breaking out and then back into jail makes me think that there is some way to go in before prison even becomes a deterrent. The prisoners who broke back into jail were probably looking forward to a jam session with their mates. You say that art and music are cost beneficial but what is your evidence for that? What do art and music cost in both centres? Half a million a year? Then add the cost of making prison more attractive and encouraging recidivism. How else could you spend that half million to train for employment or pay for some nursing staff in our hospitals or employ some more special needs teachers in our schools or pay the money to the victims of crime? Money spent on those who break our laws should not be for entertainment or relaxation therapy. That is an injustice to the rest of us who live within the law and generate taxes to pay for prisons. You are misinformed, Peters (Posted October 18, 2014 at 12:01 pm). The therapeutic benefits to prisoners of art and music are well documented and cost-beneficial. As to whether or not it is possible to educate prisoners in prison settings, I know several people who have done well learning literacy and other skills in prison, and have employed some of them as a result. Maybe it depends on the teacher, but for at least some prisoners it does work. It’s common knowledge that Correctional Services employs teaching staff to run literacy / numeracy classes and Art and Music classes. If Bob is correct it would seem that a great deal of money is being wasted running courses that are of no benefit. In particular, at a time when prisons are consuming a great deal of tax payer funding, why are art and music classes being provided? I wonder if the initial cost of setting up these workshops was taken into consideration when looking at the viability of prisons competing whith private enterprise? 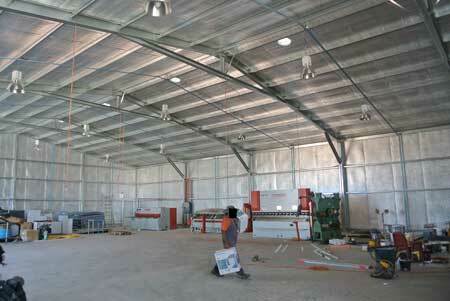 The private businesses have to establish and maintain their places of business and their equipment. The prison service, it appears, does not. Hardly fair if this is the case.